Osteoporosis Treatments – Osteoporosis is the most common type of bone disease. It is a disease in which bones become fragile and more likely to fracture. Usually the bone loses density, which measures the amount of calcium and minerals in the bone. Bone is living tissue. Existing bone is constantly being replaced by new bone. It occurs when the body fails to form enough new bone, when too much existing bone is reabsorbed by the body, or both. Calcium is one of the important minerals needed for bones to form. If you do not get enough calcium and vitamin D, or your body does not absorb enough calcium from your diet, your bones may become brittle and more likely to fracture. 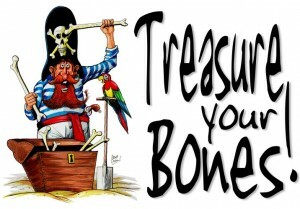 Sometimes bone loss occurs without any cause. Caucasian women are more likely to have bone loss. Sometimes the tendency to have bone loss and thin bones is passed down through families. Because of osteoporosis about half of all women over the age of 50 will have a fracture of the hip, wrist, or vertebra (bone of the spine) during their lifetime. But worry not, it is a treatable disease. All you got to do is take care of your bones, and feed them a good amount of calcium every day. But be sure not to overfeed it. It can lead to other complications. 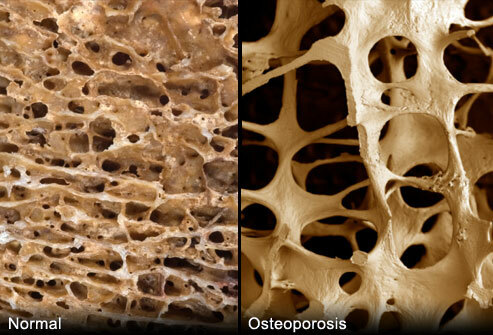 There are many osteoporosis treatments available these days. We will explain them to you. Osteoporosis Treatments – What About The Causes? Also : How to Relieve Upper Back Pain? The treatments should be used with proper ost’is diet. Ost’sis diet means eating foods that are high in calcium, magnesium, potassium and Vitamin D. Doctors will normally give you an osteoporosis diet food list, to help guide you on what type of foods you should and should not take. Also : How To Relieve Lower Back Pain? It is important that you exercise often. Your doctor will recommend you an exercise program to strengthen your muscles and bones. Many think that exercising makes the whole situation worse as it may create a risk of injury from broken bones. Truth is, it helps prevent and injuries and bone fractures that is caused by falls. When your exercise, your bones and muscles become stronger, thus helping you stabilize your walking and standing. It will also improve osteoarthritis. 3. Strotinum Treatment For Osteoporosis. This is used to treat bone-thinning related conditions. Strotinum is an element found soil and saltwater. By taking strotinum ranelate, your bone density can be increased, reducing the risk of vertebral fractures at the same time. Strotinum ranelate is very much protective for women with osteoporosis and osteoarthritis. 4. Selective Estrogen Receptor Modulators (SERMs). It is approved by FDA for the prevention and treatment of osteoporosis in postmenopausal women. SERMs are created to imitate the benefits of estrogen while avoiding the hormones potential side effects. Raloxifene ( SERMs drug) is proven to increase the density of bones and bring down LDL cholesterol. It also does not cause any side effects to the uterine lining. 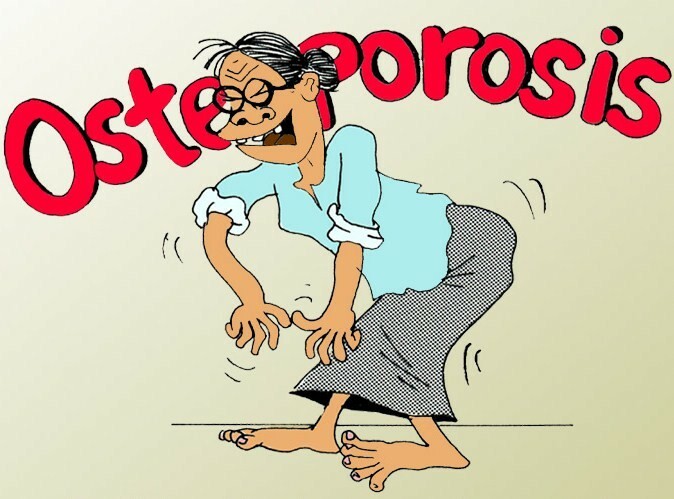 Forteo should be used only in men with osteoporosis and postmenopausal women. It is a synthetic version of the human parathyroid hormone that is needed to regulate the the calcium metabolism rate. It is also the only FDA-approved medicine that helps rebuild bone (Forteo promotes the growth of new bone). You can also opt for osteoporosis treatment without drugs such as natural and home remedies (but do not quit your medications). They may not be as effective as the medications, but would help to relieve the pain at least for some time. It is encouraged for women to start drinking Anlene milk from the age 25. This will really help in preventing osteoporosis and promote a strong bone growth at the same time. Make sure to go for your regular follow ups and take your medications daily. And do not be afraid to exercise, this will make your bones much stronger. If there are any other information regarding osteoporosis treatments that you know, do share them with us here in HNBT.